If the person or the company starts thinking about their own people then their work is always related to the development and best for their people. Whenever they start to work on any project then always their first priority is the people they are close to. As already mentioned, Reliance is the Indian company with its complete roots in India so before developing anything for the market their mind starts thinking in the Indian citizens. They think how will the people react to their development, they are least concerned about the international reactions. Keeping this in mind, they have given major development to the market and the Indian citizens by developing the first Indian web browser. Till now people in India are using the best web browser for their internet use but they were not indianized. They were working on the international formula which is sometimes not acceptable by the Indians. Why are we considering this as an Indian app? This is a big question. The answer to this is not because it is developed in India by the Indian developers; it is because this Jio web browser can be used in eight different regional Indian languages, unlike other web browsers. This means that this web browser can be used in any locality of the Indian states. The eight languages are Hindi, Gujarati, Marathi, Tamil, Telegu, Malayalam, Kannada, and Bengali. Discussing further, the other question which would arise in the mind of the people is that in order to run the Jio web browser they need to have a Jio connection. The answer is an absolute NO. 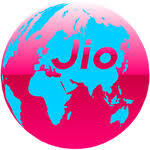 The Jio web browser can be used by any user on any phone connection. It is not necessary to have a Jio number or Jio connection. None of the other Jio apps are required to download or run this app. Since the development of this app, the download number of this app has been amazing. Till now around one lakh downloads has been done and the numbers are still going on. The reason for this high number of downloads is that the app is very lightweight and thus takes very less place. As per the current scenario, the app is available only for the Android user and takes around 4.8 MB of space. Further, when the person goes inside the Jio browser app then he would find the homepage to interactive and useful and not blank like another web browser. On the homepage, the users will get the latest news and updates about the politics, entertainment, sports, technology and many more. Just with the one tap, the users can get the details about the news presented on the homepage. There is a dedicated corner on the homepage of the Jio browser where the users can watch videos. The videos are of the latest news and updates. It is an addition to the news which the person can read. They can enjoy both the forms of news and updates. By default, the news that gets telecast on the homepage is national and international news but India people are more concerned about the local news so Jio browser has given them this option. There is an option of local in the news category through which the person can get the latest updates about his neighborhood after selecting the option. The Jio browser is also a time-saving web browser because a person does not need to type the context and waste time for the search result. The web browser has an option of voice recognition for the search result. In other words, the browser follows the voice command of the user. In this web browser, extra care is taken for the privacy of the users as they can use the browser as the private web browser as it strongly supported Incognito mode. They do not have to worry about their privacy and can have the best private browsing experience. Unlike other web browsers, in the Jio web browser, the user can adjust the display text size as per their comfort. In the case of the private browsing, the user tries to minimize the text size so that it is not readable to others. There are some features that are common to another web browser like the person can bookmark the website as per his choice and can also share the link to their contacts via other social platforms.